Toyota of Clermont explains the importance of oil changes! Have you ever wondered why mechanics make such a big deal about getting a car’s oil changed? 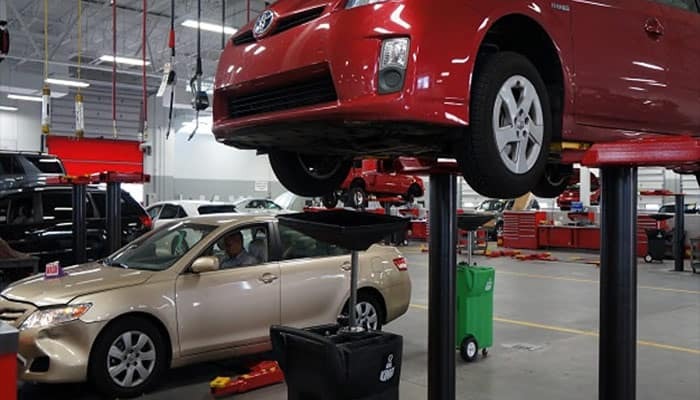 At our Toyota dealership near Orlando, we know that taking the time to get important auto service can sometimes be a task that no one wants to face. 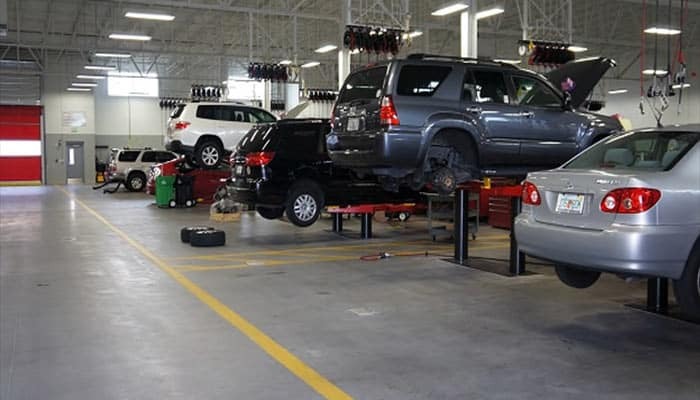 Even though it can be tempting to brush off scheduling an Orlando auto service appointment, try not to fall into this trap. Not staying on top of regular care like oil changes can lead to more expensive auto repairs. If you know that your car needs an oil change, but haven’t quite gotten around to scheduling the appointment or bringing in your vehicle to get it taken care of, then stay tuned. The value of this type of Orlando auto service is huge. Engines have lots of moving parts, and if they’re not properly lubricated then the different parts can become worn down over time. What happens if you don’t stay on top of getting regular oil changes? The engine’s parts will break and need to be replaced. Did you know that the number one reason for engine failure is wear and tear, which often happens because the oil becomes too thick and sticky from not being changed? If your car doesn’t receive oil changes on a regular basis, then the worn-out oil will actually stick to moving engine parts instead of greasing them like it should. This means your car could end up needing a complete engine replacement. Most mechanics will place a small sticker on the inside of the driver’s window to serve as a reminder when to schedule your next oil change in Orlando. If this reminder isn’t in your car’s window, then there are some important tips to keep in mind to help you figure out whether or not it’s time to schedule an auto service appointment. If you know how to change or check your own oil, then the color can be the first thing to watch out for. The original color of oil is more of a honey or light brown, but it quickly darkens even after a few weeks of use. Once little particles start to show up in the black oil, then you know it’s time to get it changed. You already know that oil lubricates the engine and helps its parts run smoothly. So the question is: has your engine been running louder than usual? You’ll probably start to hear some louder and unpleasant noises from under the hood once the oil isn’t working like it should (meaning it’s time to come visit our Toyota Service Center for a convenient and quick oil change in Orlando). Of course, if you can’t even remember the last time the oil was changed in your car then it’s better to make sure everything is ok than run the risk of something going wrong. Bring your ride in for quick oil change in Orlando at our location, and make sure you write down the date and mileage so you can continue to give your vehicle the proper care it needs. Remember, if you ever have a question or think that the oil level should be adjusted, it’s better to be safe than sorry. Our Toyota Service Center in Orlando is open every single day so there’s always a good time to stop by and get the auto care you need. Sometimes drivers might be hesitant to address auto care like Orlando oil changes or brake service because they’re worried about the price. That doesn’t have to be a concern when you come visit us, though. Did you know that we regularly offer Toyota Service Coupons? This means getting the auto service you need at a great price doesn’t have to be difficult! You’re also helping your budget out by getting Orlando auto service taken care of sooner rather than later. Avoiding small fixes along the way can lead to greater challenges and breakages down the line, which means more expensive auto repair. If you’re ready to make an appointment, then you can do it online by visiting our Toyota Service Center section, or just call us directly at 352-404-7001! We’re here ready to help you out with any of your auto service needs!